Ginger honey tea is an aromatic herbal drink made of ginger root and honey. Because of the plethora of favorable nutrients present in this blend, its consumption remains colossally beneficial for overall health. 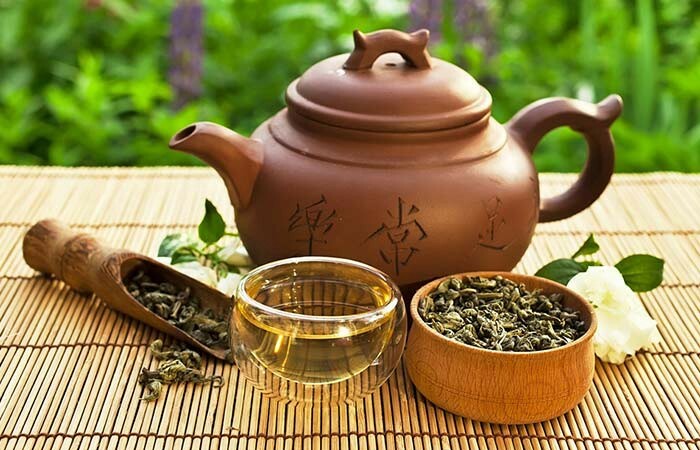 Ginger tea has been in use as an herbal medication in Asia since ancient times to treat several ailments. However, this combination eventually gained popularity after honey’s addition to ginger tea as a natural sweetener. Studies suggest that the combination honey and ginger serves as an effective expectorant, thereby helping to treat sore throats, cough, colds, stuffy nose and certain respiratory diseases like asthma. Honey is a natural cough suppressant which warms a sore throat while its glucose-oxidase content helps fighting viral and bacterial infections within the body. On the other hand, ginger relieves congestion in the chest by loosening up phlegm and mucus. Ginger enhances metabolism, improves digestion and suppresses appetite, besides expanding the blood vessels which results in heating up of the body, thereby improving the fat burning process. In addition to this, honey is an easily digestible simple carbohydrate containing a plethora of minerals and amino acids which consequently prevent weight gain. If you intend to shed off your extra calories, then a warm infusion of ginger and honey can be included as a part of your weight loss regime. Both honey and ginger soothe the stomach lining by triggering the secretion of digestive enzymes which counteracts the effect of stomach acids, thus helping to curb nausea caused by stomach upset, motion sickness or morning sickness. Moreover, not only does the infusion lessen the queasiness caused by cancer, but also nullifies the nauseating effect of cisplatin, an essential component in chemotherapy. Besides soothing the stomach lining, the high protein and natural digestive properties in ginger and honey stimulate bile secretion, and the growth of friendly bacteria which helps break down and absorb food, improves bowel movements, reducing the risk of constipation or diarrhea. 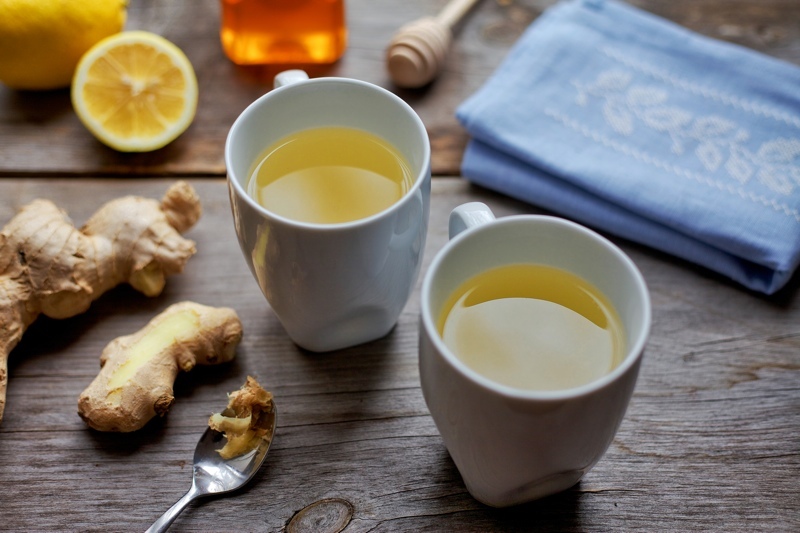 Honey and ginger also neutralize gas in the stomach, preventing digestive issues like acid reflux and bloating. The anti-inflammatory, antioxidant and analgesic properties of honey and gingerol relax the muscles and help to alleviate pain associated with arthritis, lower back pain, and muscle pain by deterring tissue damage, regulating antigen presentation of inflammatory cells and lessening systematic inflammation. Because of its gingerol content, ginger has been scientifically shown to reduce blood sugar and increase insulin levels of the body, helping to fight diabetes as a result. Moreover, since honey contains simple sugars and a balanced amount of glucose and fructose, it helps the body to regulate blood sugar levels. However, those under diabetes medication should consult a physician before taking the concoction. The antioxidant content of honey and ginger blocks free radical damage, which, in turn, combats skin aging, scarring, dry skin, and uneven skin tones. Their antimicrobial properties, on the other hand, serve as antiseptics and facilitate skin healing. Antioxidants and flavonoids in honey and ginger help prevent narrowing of blood vessels, thereby helping to control blood pressure which is one of the key factors for heart ailments. The combination of both also moderates the impact of prostaglandins, hence deterring risks of many cardiovascular diseases. 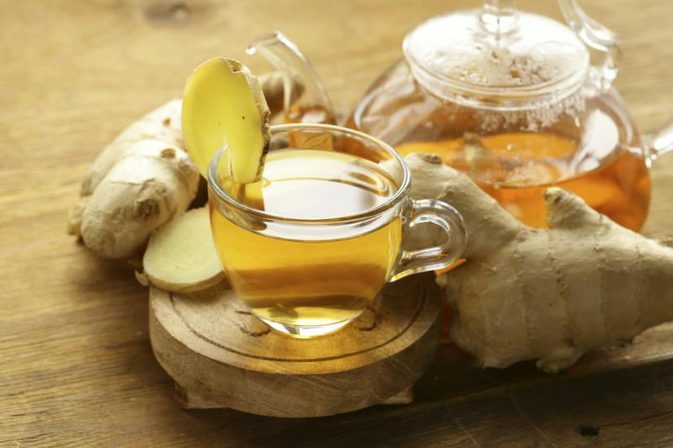 Ginger and honey tea help to fight free radicals in the blood stream, keeping them from reacting with healthy cells of the body. The antioxidant polyphenolic compounds in honey combined with a compound named 6-Shogoal in ginger are said to assist in reducing the risk, growth, and metastasis of cancer. Ginger and honey help to fight infections and strengthen immune function owing to their antimicrobial and antioxidant properties. Besides this, honey contains significant amounts of friendly bacteria acting as a probiotic substance while ginger improves blood circulation. 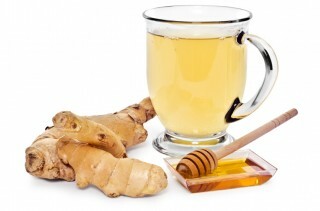 A cup of ginger honey tea taken on a regular basis may contribute to an overall sound health. Besides honey and ginger, lemon too acts as a potent diuretic, helping to cleanse the body of toxins, hence keeping it healthy. Moreover, their antioxidant properties help fighting free radicals in the body, enhancing the production of detoxifying enzymes as a result. Alongside the antioxidant and detoxifying properties, honey and ginger also contain the relaxing amino acid, tryptophan, thus helping to relieve stress and anxiety, as proven through studies. 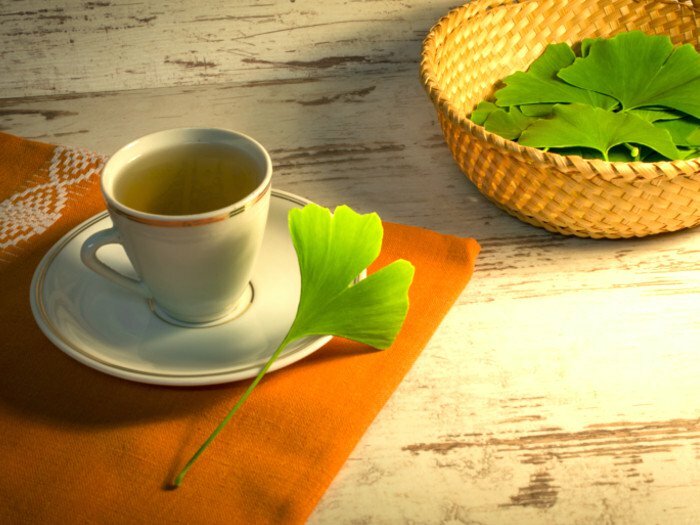 Therefore, a cup of honey ginger tea before bedtime not only contributes in alleviating mood but also acts as a sedative resulting in sound sleep. You can even add a few drops of lemon juice to taste before serving for a refreshing cup of ginger lemon honey tea. 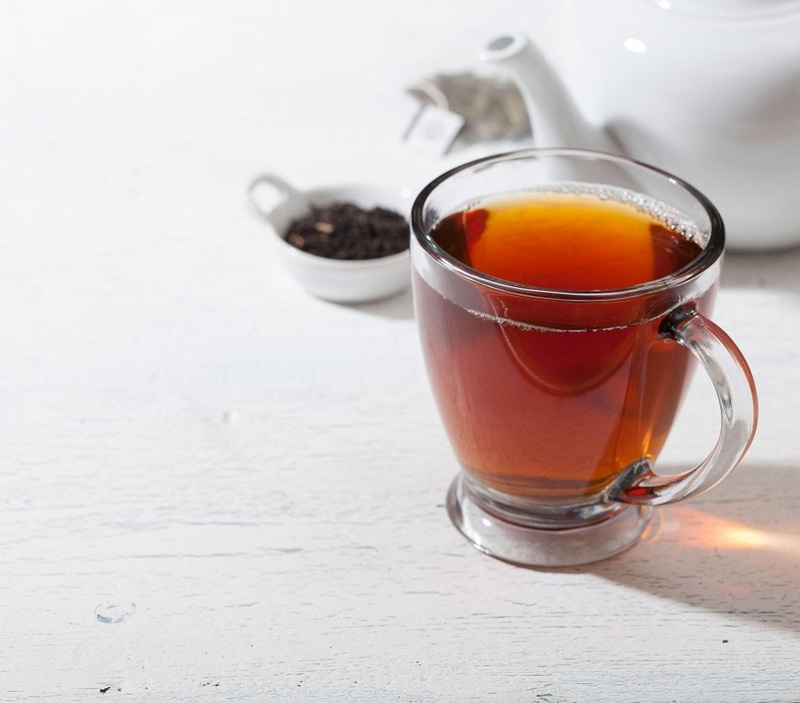 For flavorsome variations like ginger cinnamon honey tea, let the cinnamon steep in the tea for a few minutes along with the tea bag. 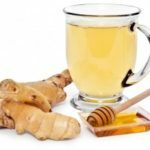 Although there aren’t any known side effects as such, overconsumption of ginger and honey could lead to digestive issues such as heartburn or stomach upset. It is best not to give honey and ginger tea to children under 2 years of age. 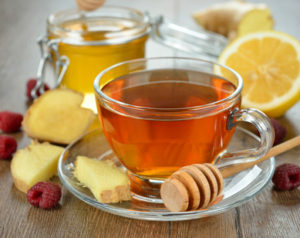 Although a brew of honey and ginger is recommended as a remedy for morning sickness during pregnancy, it is best to consult your doctor before consuming it. Breastfeeding women too should seek medical advice before deciding to take the tea. While fresh honey and ginger are available online as well as in local grocery shops, you can also purchase ginger honey tea bags online or from herbal stores. Varieties such as ginger honey lemon tea are available as well.